The list of concepts and new models destined for July's Australian International Motor Show (AIMS) in Melbourne is growing. 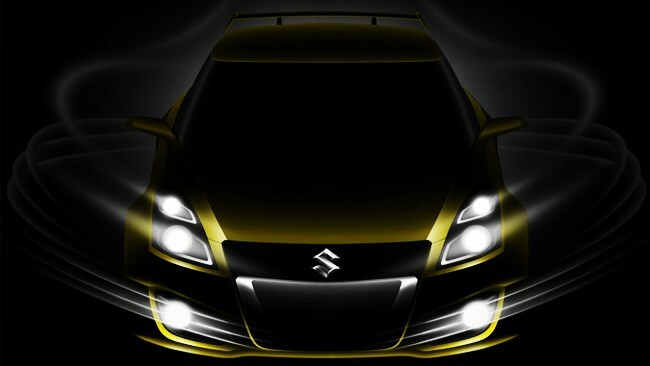 Suzuki has announced that its display will be headlined by the unique Swift S-Concept, following its debut in Geneva earlier this year. Developed specifically as a one-off design study, Suzuki admits that the Swift S-Concept could offer a glimpse of what we might expect if a Sport model joins the new 2011 Swift line-up. “Certainly, many people will have fond memories of their younger years at the wheel of cars like the original Suzuki Swift GTi – they have a joyous and youthful spirit to them," AIMS Event Director Russ Tyrie said. Power for the Swift S-Concept is provided by a 1.6 litre four-cylinder engine, mates to a six-speed manual transmission. Power figures have not been revealed, although the engine is likely a version of the 92kW four-cylinder engine that powers the current Swift Sport. The Australian International Motor Show opens at 6pm on Friday 1 July and runs through until Sunday 10 July at the Melbourne Convention & Exhibition Centre. Could Suzuki Australia undercut Toyota in the ‘most affordable hybrid’ stakes?